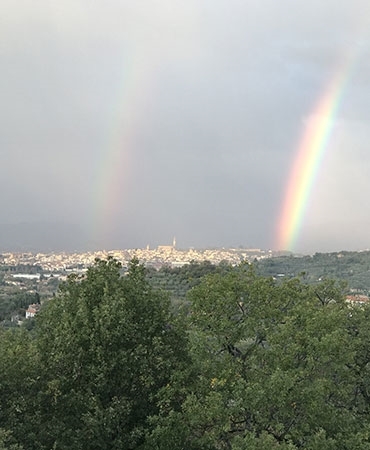 Immersed in the lush Tuscan countryside, at 372 m high, the holiday residence "Casa di Sasso" welcomes you with its splendid view of the medieval city of Arezzo, in the quiet of nature among green olive groves. 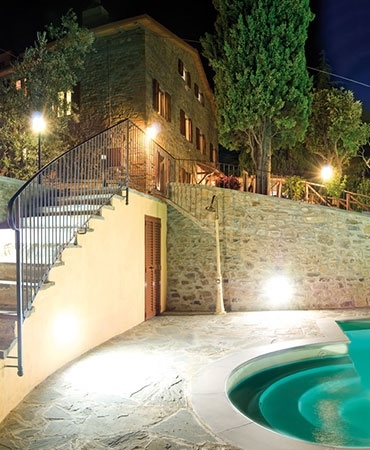 An outdoor pool with whirlpool provides relaxation and fun from spring to autumn. 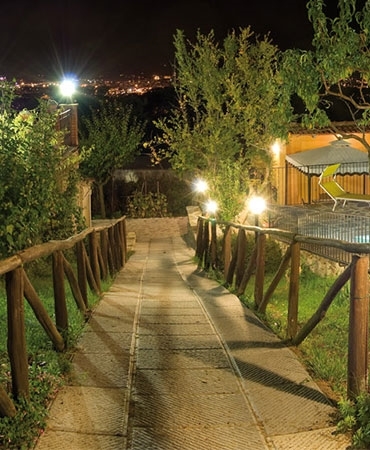 Casa di Sasso is a holiday home with 3 apartments and 1 annex. The three apartments of the central body can be communicating, so it is possible to rent one, two or the whole house, which can accommodate up to 16 adults. will allow you to access the pool. up to a maximum of 1.65 m.
of the splendid view on the olive grove. in the green of Tuscany. it has all around a garden with many floral species. even more colorful and pleasant. that sometimes gives us some fruit. mountains that border the valleys to the north. you will also enjoy a splendid breathtaking view.